What explains the improbable rise of Herman Cain? Among the many striking features of Georgia-based radio talk show host Herman Cain’s presidential announcement speech in Atlanta on May 21, the most surreal was to hear an African-American in front of a heavily white audience of hard-core conservatives, at a site within shouting distance of the Martin Luther King Center, end his remarks by declaring, “When Herman Cain is president, we will finally be able to say, ‘Free at last, free at last, thank God almighty, America is free at last.’” Cain’s decision to appropriate those famous words from King’s “I Have a Dream” speech is in many ways characteristic of the man himself and the kind of campaign he’s been running. But give him credit: Outperforming Tim Pawlenty in many recent polls, running tied for second in Tuesday’s latest PPP poll of Iowa, Cain is surging on the backs of the Tea Party faithful. He is nothing if not audacious, and his popularity is due in large part to the fact that he has come to embody some of the more dubious but emotionally central claims of the Tea Party Movement. The first thing Cain has going for his fan-base is his biography. He’s a successful business executive who saved at least one company, Godfather’s Pizza. He made his bones on the national political stage by attacking the Clinton Health Reform plan in 1994. And after liquidating his business holdings, he became a motivational speaker and author, with many opportunities to hone his communications skills. Following his one, unsuccessful race for office—a surprisingly strong second-place showing in a primary* won by now-Senator Johnny Isakson—Cain worked his way into the world of conservative talk radio under the tutelage of the veteran quasi-libertarian gabber Neal Boortz, who has a big national audience. He soon got his own syndicated show, in which he identified himself with one of the most durable conservative pet rocks, the Fair Tax proposal (a flat consumption tax that would theoretically replace federal income and payroll taxes). And unlike other pols who have since tried to ingratiate themselves with the movement, Cain was a big Tea Party proponent from day one, quickly becoming a fixture at Tea Party events in Georgia. And then, of course, there’s one other item in Cain’s background that matters politically: his race. Cain’s popularity among conservative activists provides a sort of ongoing inoculation against the charges of racism that have been levied—sometimes speciously, sometimes fairly—against them, and he cleverly cultivates this element of his popularity with the stock-speech line, “People who oppose Obama are said to be racists—so I guess I’m a racist.” Like South Carolina congressman Tim Scott and Florida congressman Allen West, as a hard-core conservative African-American Cain has quickly become one of the most popular pols in the Tea Party universe. But beyond serving as a counter-race-card, Cain’s rhetoric offers vital ammunition in the fight over the endlessly contested American value of “opportunity.” Indeed, at a time when many white Americans believe that anti-white bias is now a greater social problem than anti-black bias, Cain’s words and deeds coincide nicely with the common conservative belief that minorities who embrace traditional values, work hard, and become entrepreneurs can avoid the liberal “welfare trap” that leads to dependence on government, broken homes, and crime. And Cain’s angry defiance of liberals validates the Tea Party conviction that white liberal elites have corrupted minority Americans by, for instance, encouraging them to take out mortgages they couldn’t afford, thus triggering the recent housing and financial crises. In other words, Cain has become not a role model but an implicit living rebuke to his fellow African-Americans, who have, in the imaginations of many white conservatives, been led like sheep to the slaughter by the shadowy forces who use them as pawns in their socialist schemes. Here’s why I support de-funding Planned Parenthood, because you don’t hear a lot of people talking about this, when Margaret Sanger—check my history—started Planned Parenthood, the objective was to put these centers in primarily black communities so they could help kill black babies before they came into the world. You don’t see that talked that much about … It’s not Planned Parenthood. No, it’s planned genocide. You can quote me on that. This sort of talk is immensely useful—and powerful—for conservative activists who have a complicated view of minority Americans as both perpetrators and victims in the ongoing destruction of the country as they know it. In this as in other areas, the third thing going for Cain is simple: He does not hold back. Indeed, he gives conservative audiences the full, rich, red-meat diet they crave, along with the occasional dog-whistle appeal only they can hear. For example, in his announcement speech, he made a casual reference to the Constitution’s language guaranteeing “life, liberty and the pursuit of happiness.” Since the language in question appears in the Declaration of Independence, not the Constitution, Cain was subsequently accused of an ignorant gaffe by observers who themselves did not seem to understand the Christian Right/Tea Party tenet that the former document was incorporated into the latter via the manifest intent of the Founders. This is how God and the idea of divinely derived “natural law” (including protection of the unborn and, for some, absolute property rights) are read into the Constitution by constitutional conservatives who consider twentieth-century social legislation and court rulings un-American. Add all these factors up, and it’s not that surprising Cain has been wowing audiences in early caucus and primary states and developing the kind of online following that only Ron Paul can typically command among Republicans. He has routinely won audience straw polls after candidate forums—most famously, at the Tea Party Patriots convention in Arizona in February and at Steve King’s Conservative Principles Conference in Iowa in April. He also greatly enthused a focus group convened by conservative pollster Frank Lutz to watch the first televised candidate debate in South Carolina in May. As a result, he’s now surging in the polls (registering 8 percent in the latest Gallup poll of Republican presidential proto-candidates, 10 percent in the latest CNN poll, and 11 percent in a recent Insider Advantage poll), and regularly running ahead of supposedly more serious candidates like Tim Pawlenty and Michele Bachmann. And all this is happening, as Nate Silver has pointed out, in spite of the fact that Cain still has low name ID and hasn’t, until now at least, gotten much media attention (in both respects, this is the exact opposite of the context surrounding Donald Trump’s earlier surge in the polls). So is Cain for real? Could he, not T-Paw, become the much-discussed true conservative alternative to Mitt Romney, rolling into South Carolina for a mano-a-mano confrontation with the supposed front-runner on his own Deep South turf? It’s possible, but it’s also more likely that with his new visibility, Cain will now face many new pressures. For one, a serious campaign has to have money. 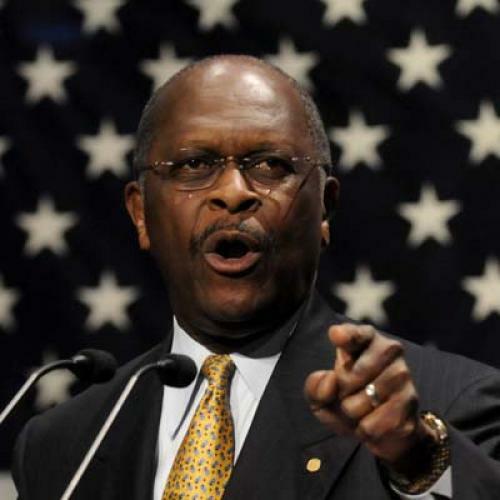 Cain is a millionaire, but is hardly in the same league as Romney or Huntsman as a self-funder. He is not averse to rattling a cup for contributions, but has nothing like the fundraising record of Bachmann or Gingrich. More importantly, Cain’s free ride with opponents and the media is certain to end. As his campaign morphs from a sideshow into an existential threat to the ambitions of Bachmann and Gingrich, and a potential problem for T-Paw (who could still finish behind Cain in Iowa and survive until South Carolina, so long as the other “true conservative” rivals to Romney got killed off), they will inevitably train their guns on him. And there may be a limit to the value Cain derives from the novelty of a black conservative angling to become the challenger to the first black president. Most of all, Cain will have problems with expanded media coverage unless he adjusts very rapidly. His cheerful indifference towards foreign affairs and national security issues—he’s said he’d figure out what to do in Afghanistan at some point between Election Day and his inauguration—may reflect the attitudes of his core Tea Party base, but not Republican elites, much less voters at large. And given his lack of experience in office, gaffes and tokens of ignorance—e.g., his manifest cluelessness on the issue of the Palestinian “right of return” in a recent discussion of the Middle East—will hurt him just as they hurt Sarah Palin in 2008. Conservative opinion-leaders supporting other candidates will be sure to mention that Cain supported TARP and once served as Chairman of the Federal Reserve Bank of Kansas City. African-Americans are very likely to begin denouncing his denunciations of Obama and his appropriation of civil rights rhetoric. The Fair Tax gimmick which Cain has promoted for years is loaded with opposition-research dynamite. And in general, his whole act, including his habit of referring to himself in the third-person, could get old or weird. To be sure, in a year like 2012, with a field like today’s Republican cast, you never know what will happen, and Cain has already done a better job of establishing himself than almost anyone expected. But odd as it may seem for a candidate most Americans are just now discovering, Herman Cain may have peaked too soon. *This article has been changed to reflect the fact that Herman Cain lost to now-Senator Johnny Isakson in a primary election. It originally stated that he had lost in a runoff election.